David Le/Salem News. 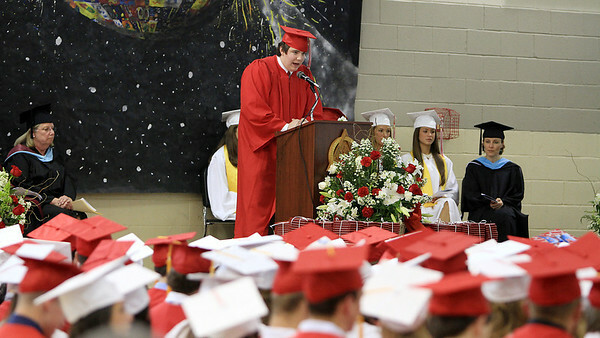 Above a sea of red and white hats, Masco High School senior Vincent Liberto reads his essay entitled "Stand-Up" during their graduation ceremonies on Friday evening. 6/3/11.